A Legal Move is a pseudo-legal move which does not leave its own king in check. If not in check, most programs delay the legality test to the child node, after incremental updates attack and defend maps or an explicit square attacked test direct after make move. Earlier programs were even more "lazy", to determine illegal moves after an illegal king capture, while many programs consider absolutely pinned pieces in move generation and also for evaluation purpose, or even perform a strictly legal generation to demand searching legal positions. If in check, most programs apply a special move generator to omit the majority of illegal moves. 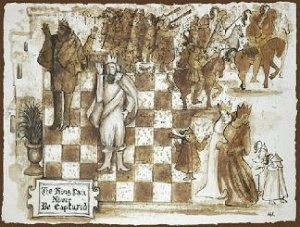 Beside the pseudo-legal condition which might already be sufficient for a subset of chess programs, there are several conditions to test, dependent whether the king is in check or not.